This is contained in a communiqué signed by the Executive Director Finance and Admin of the NPA, Mr Olumide Oduntan and Mr Tony Nted, the President of the Maritime Workers Union of Nigeria. A copy of the signed communiqué was made available to OnepageAfrica on Saturday in Lagos and read as quoted. “At the meeting held between the Management of the Nigerian Ports Authority and the Maritime Workers Union of Nigeria on Saturday, Oct. 24, 2015 at Victoria Crown Plaza, Victoria Island, it was resolved as follows. “That all outstanding payments to Tally Clerks and On-board security men is a top priority that will be paid as soon as Treasury Single Account issues are resolved. “All statutory payments to Nigerian Ports Authority and charges due stevedoring contractors on MV Hawk that berthed midstream at Bonny should be paid before the vessel is allowed to sail. 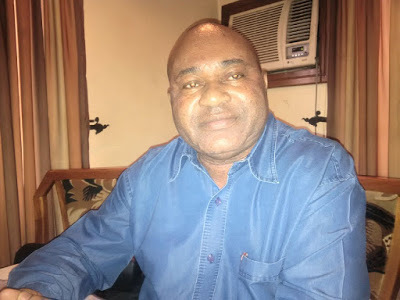 Mr Adewale Adeyanju, President of the dockworkers branch of the Maritime Workers Union of Nigeria, confirmed via a telephone interview that the strike had been suspended following the agreement reached with the NPA.